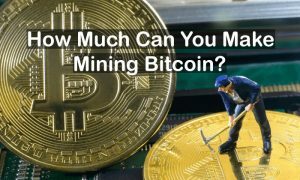 Home Bitcoin How Much Can You Make Mining Bitcoin? A number are confused if Bitcoin mining is still worth it considering its demand for power and speed, the high competition and increasing difficulty. This article will make you see the Bitcoin mining profitability today. Is Bitcoin mining profitable? Should I do it too? I often hear these questions from a number of cryptocurrency enthusiasts. Bitcoin mining is one of the most popular ways to earn free Bitcoins, so it’s understandable why many are interested in it. According to many, Bitcoin mining is no longer profitable! But I tell you, this it is still rewarding, it just depends on your machinery. Bitcoin mining is an expensive way to earn free Bitcoins. 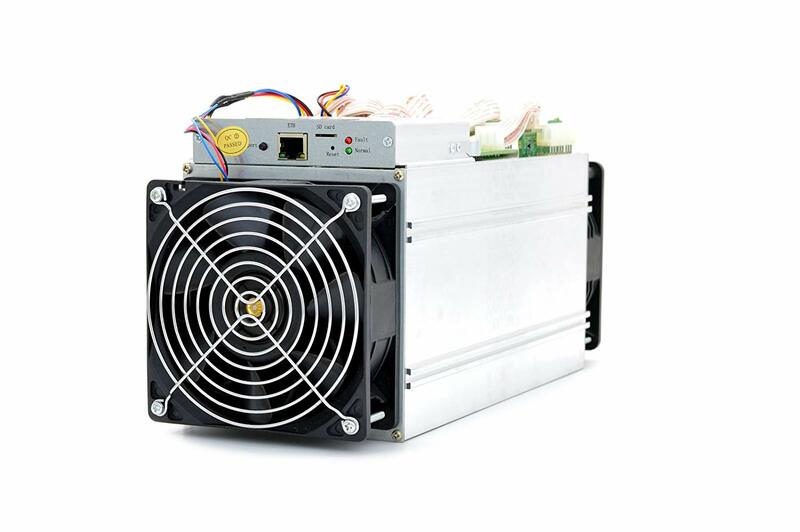 Mining requires a powerful Bitcoin mining rig and a strong and reliable power supply. You have to invest in a mighty equipment to making mining rewarding. Here are the different cases where you can earn great profit. However, please take note that these persons spend on their machineries to get these impressive rewards. Check it out below and see for yourself how they profit from Bitcoin mining. 1 Is Bitcoin mining profitable? Should I do it too? This man uses six GTX 1080 Ti. Each has 11 Gb of RAM. But they consume so much power, about 300 watts each. It could have a total of 1900 watts of total power consumption. For his setup, he uses 1000 watt EVGA power SuperNova to provide enough power to the video cards. Aside from those, he uses 8 GB of DDR4, Intel Celeron G3900 Skylake Dual-Core 2.8 GHz LGA 1151 and a 120 GB SSD to run everything quickly. He also bought 6 razors to connect each video card to the PCI Express ports and invest on a new motherboard that can run all of those at the same time. He also purchased a mining rig case to hold everything. After setting up the Bitcoin mining rig and installing a Bitcoin mining software, he tries to find a good hash and immediately earned $42, which is already a lot of money. If this amount is multiplied by 30, his monthly earnings from Bitcoin mining would be $1,260. If this continues, his annual profit from Bitcoin mining would be $15, 120. ASIC stands for Application-Specific Integrated Circuit. This means that the chip inside those miners are specifically for mining and can’t do any other tasks unlike GPU and CPU. ASIC chips and miners can only mine specific algorithm. Here’s an overview of your expenses and Bitcoin mining profitability with different ASIC miners. 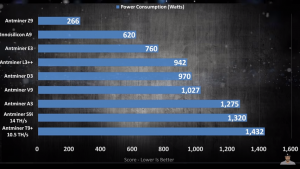 The miners have to run 24/7 so, it’s best that you consider the miner’s power consumption. 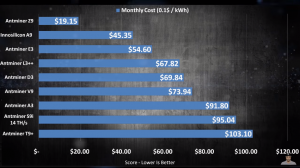 In this example, the kilowatt per hour (kWh) is priced at $0.10 because this is the averaged price out there. Just determine how much the kWh is in your area and update the calculation. If you pay lesser then the amount stated above will be reduced. Please take note that the internet and space expenses are not calculated. Some have free space, but others have to rent. If you do, then just add those expenses in the amount shown below. Considering the power consumption and monthly expenses this is your potential income. 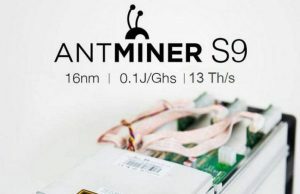 Here’s another example using Antminer S9 Bitcoin miner. This miner does 14 Terra hashes a second and uses 1350 watts. If you plug 14 Terra hashes on the mining profit calculator and considering the power consumption, you will probably use $3.90 power every day if you are paying $0.12 kilowatt per hour. 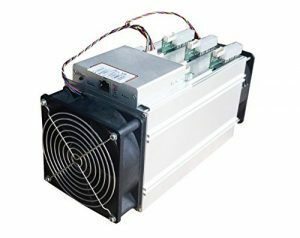 In a year, you will pay around $1,423 for power consumption just to run Antminer S9. 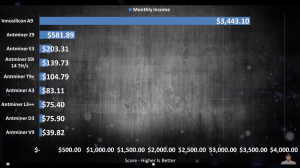 According to JMS, you will earn $8,602 of pure profit in a year with this Bitcoin miner. The Bitcoin difficulty continues to rise, so in time you will get less and less of Bitcoin. But the one thing that can balance the difficulty and how much Bitcoin you mined is – if the price of the Bitcoin continues to increase. 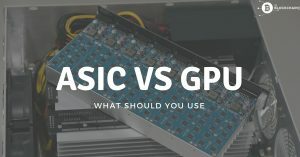 Aside from using ASIC and CPU, you can use graphic cards (GPU). Yes, if you have a gaming computer with a good dedicated graphics card you can use it to mine Bitcoin. This year, Radeon and Nvidia release cards that can mine Bitcoins at comparable rates. A Nvidia GTX 1070 may cost you from $699 to $850. 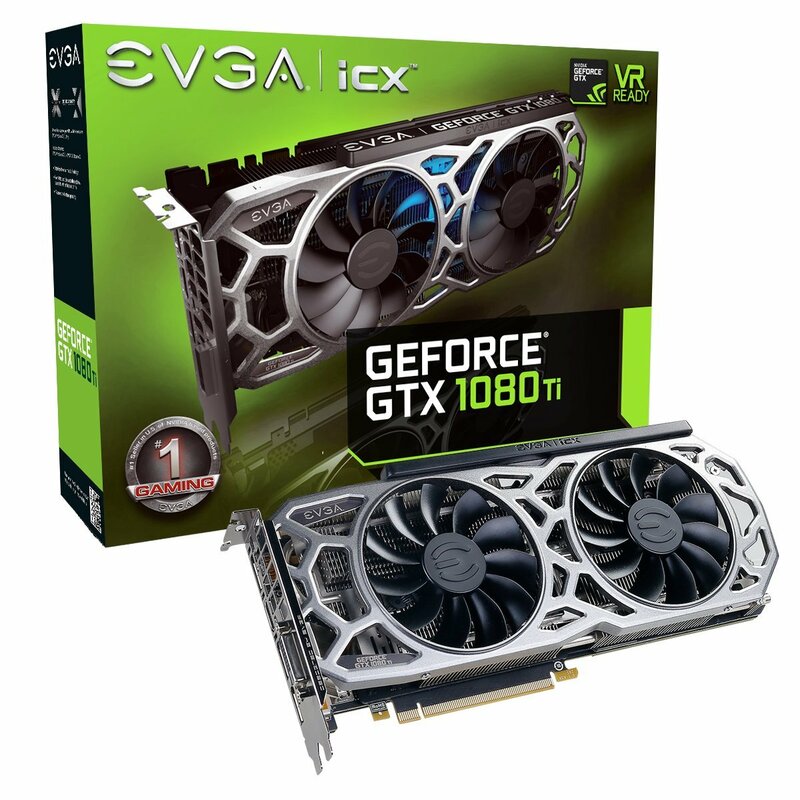 If you use this for gaming for 4 hours, you can allot it to mining for the remaining 20 hours. According to Jason Evangelho of Forbes, after several months the hours spend on Bitcoin mining will transform into pure profit. Given that you only mine for 20 hours, that 83% of the day. Most likely, you will get $1.18 per day. You will approximately get $430 per year. 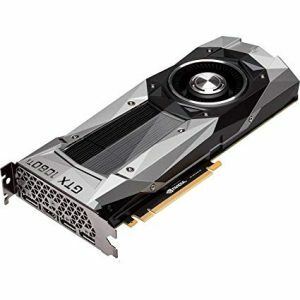 In 19 months, you’d have your GPU 1070 fully paid off. 📌If you use the card for mining 24/7, you will probably earn $504 per year. The card will pay for itself in less than 10 months. But take note the power consumption is out of the calculation. However, according to Evangelho, this is profitable. “I’m currently mining with a GTX 1060 and GTX 1070, and I can vouch for these estimated profits. In fact, if you overclock your cards they will be slightly higher,” he wrote. So, is Bitcoin mining worth it? Of course, it is! Bitcoin mining can give you at least $1 up to $42 or more a day. So, this is still profitable if you invest in a powerful miner. You have to get the best Bitcoin mining hardware and pair it with the best Bitcoin mining software to ensure that your mining activity will be profitable. This will be costly, but you can only profit from Bitcoin mining if you use the best equipment. Aside from investing in the best machines, you have to expect for an increase in your electric bill as those equipment will consume power and would run 24/7. A number said that Bitcoin is no longer profitable, but if you have the right gear, you will still find this profitable. In fact, a number still do this because they earn from it. If you want to learn more about Bitcoin and cryptocurrencies, feel free to check our homepage.